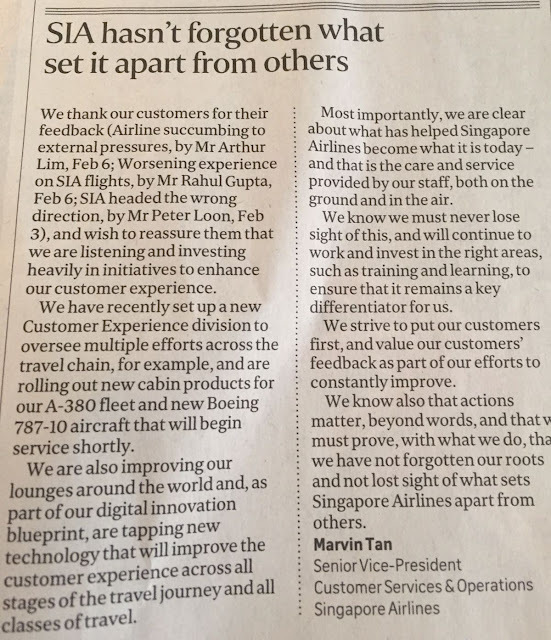 A reply in the ST forum from SIA's SVP Customer Service & Operations, Mr Marvin Tan. 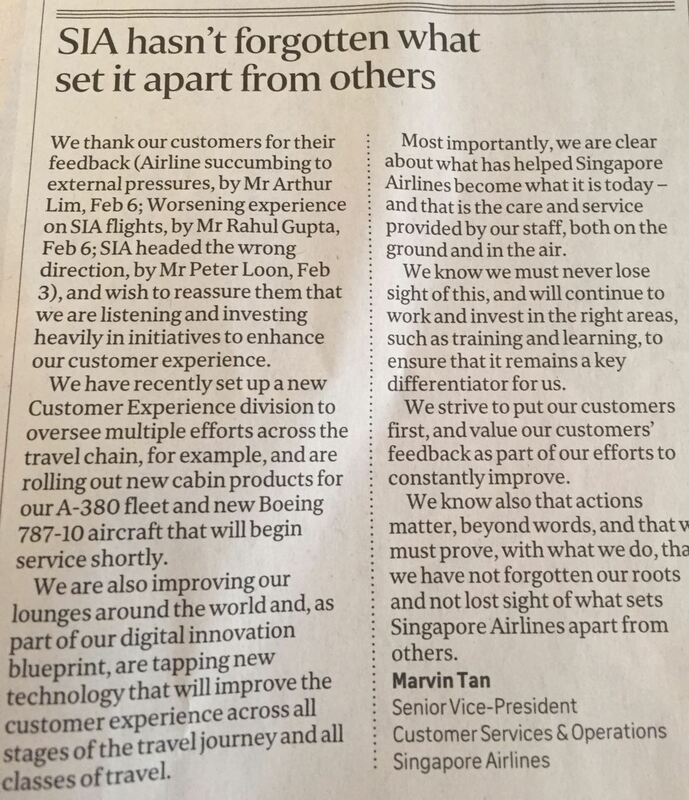 Marvin Tan was cabin crew former svp and a sincere person so I think he is not wayanging. If those goons think SIA is bad then don't fly.Suggest fly EK or some other pariah airlines. Post more stories about current crew, boh tong?